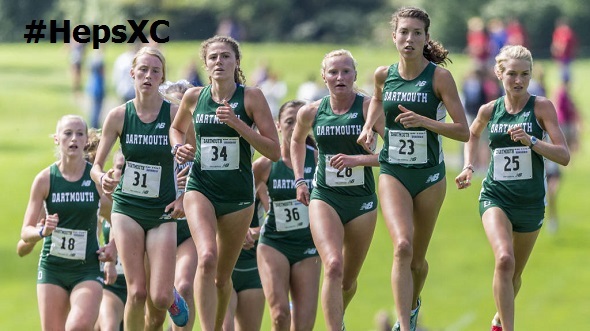 The Dartmouth women have won the HepsXC title for the last two years. In 2013, the Big Green were led by Abbey D’Agostino to the team title – their first title since 1997. They repeated the win in 2014, proving that they can win titles without D’Agostino. Even though the team returns most of their runners from last year’s HepsXC championship squad, they face an uphill battle – literally and figuratively – to win the title for the third year in a row. The team doesn’t enter HepsXC as the top ranked Ivy squad and will be challenged by the Van Cortlandt Park hills like the rest of the conference. But given how Hanover is surrounded by hills, perhaps the change in venue will fall into the Big Green’s favor. Dana Giordano has been a consistent leader for the Big Green women for the last two years, and the team will be expecting her to lead them again on Friday. With the announcement of defending HepsXC champion Megan Curham taking the year off, we originally thought that Giordano could be handed the individual title. But when Dartmouth has competed against Ivy competition at both the Battle in Beantown and the Wisconsin Invitational, Giordano did not cross that finish line as the #1 Ivy runner, as she finished as either the #2 or #3 Ivy runner in the race. In each of those races, Giordano was in the front pack but was out-kicked by the Ivy competition. Helen Schlachtenhaufen, Reid Watson, Leigh Moffett, and Bridget O’Neill return with Giordano from the 2014 championship squad. Schlachtenhaufen and Moffett have consistently been among the team scorers this fall. Elizabeth Markowitz is back on the cross country scene after not competing last year, taking a spot in the scoring lineup in each of the A-Team races this fall. Schlachtenhaufen, Moffett, and Markowitz have filled the roles of #2 to #5 runner at some point this season for the team. Watson and O’ Neill can also fill any of these roles and can step up on Friday. The team will need to have a low scoring spread to assure them a place among the conference top 3 and perhaps, another team title. This entry was posted on Tuesday, October 27th, 2015 at 3:00 pm. It is filed under Heps Champs, Spotlight, Team Previews, Women. You can follow any responses to this entry through the RSS 2.0 feed.